Children in front of the newly expanded Saint David's Kalina School. 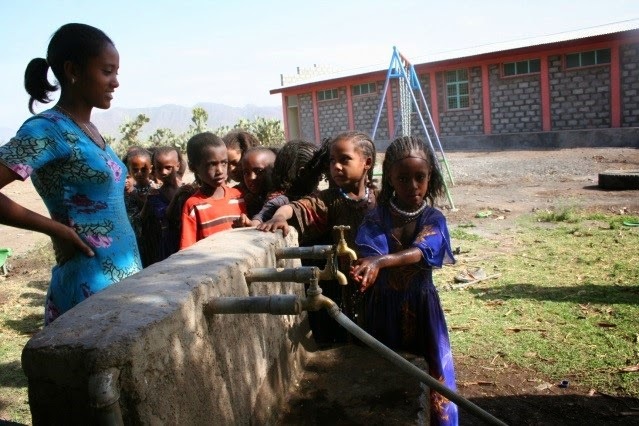 I want to share an updated progress report on the Saint David's Kalina School, which opened its doors in the fall of 2013 in Tigray, Ethiopia, and which was officially opened on our visit there last summer. The elementary school for Grades One through Four was built by Saint David's boys in cooperation with Save the Children. Before the Saint David’s Kalina School was built, few children attended school in the area. This year 387 boys and girls attend school, a 62 percent increase compared to the previous two years (before Saint David's Kalina School was built). The new ECCD classroom block. In each of the past 5 years of our work with the Kalina community, our boys, led by the eighth grade, have organized several fundraisers, informational events and projects. Our efforts have been so successful that this past February, we were able to complete a new Early Childhood Care and Development (ECCD) block consisting of two classrooms and two additional resource rooms. 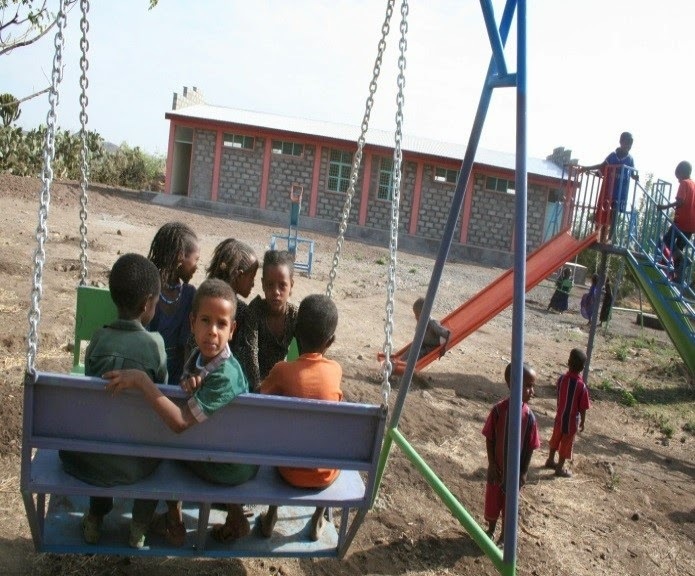 Saint David's Kalina School now consists of 4 elementary classrooms, an administrative block, and the newly completed early childhood center. The 42 boys and girls in the early childhood program participate in an Emergent Literacy and Math curriculum. School based health services, including first aid, and access to potable water are also available to the children. The program also educates expectant and new mothers in matters of pre and post natal health care, early learning and parenting. Preschoolers line up for water. Preschoolers enjoying their new outdoor playground. 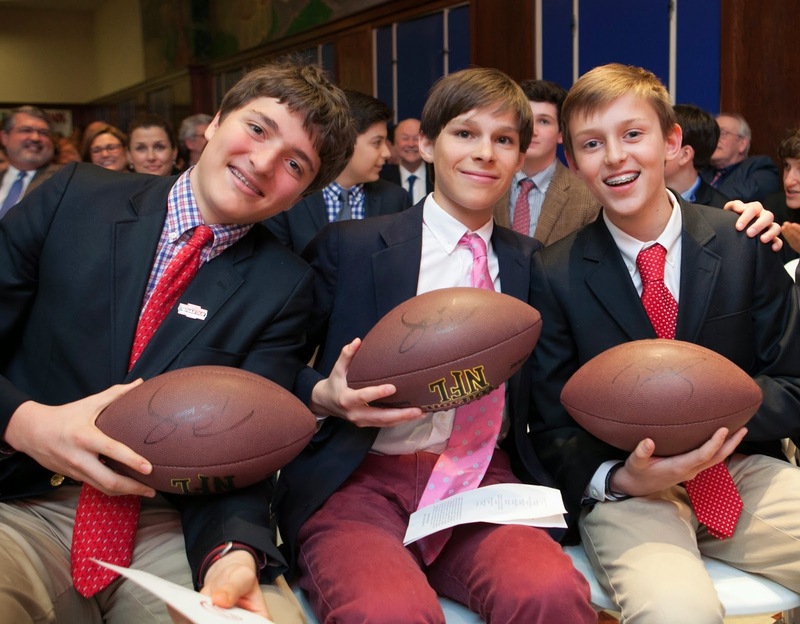 Saint David's boys continue to raise money for the Kalina community. Our next effort will focus on helping them build an additional classroom block for their upper primary children. Our work and our commitment continues. Saint David's boys do good in the world! When one steps into the pages of a literary novel, an immediate transformation takes place. It is about experiencing the fictional world of the protagonist on his or her terms, exactly as that character experiences it. The beauty of great literature is that it creates an automatic transport system through all kinds of difficult journeys, giving the reader amazing access into that which can be experienced from the safety of one’s own sofa on a cold, rainy Sunday afternoon. Even more than that, tapping into the feelings of connection and empathy that are built through such literature should be the ultimate goal in reading shared texts in schools because it, “prompts the reader to imagine the characters’ introspective dialogues. This psychological awareness carries over into the real world, which is full of complicated individuals whose inner lives are usually difficult to fathom. Although literary fiction tends to be more realistic than popular fiction, the characters disrupt reader expectations, undermining prejudices and stereotypes. They support and teach us values about social behavior, such as the importance of understanding those who are different from ourselves.”(1) Therefore, building empathy through the study of literature provides a safe place to explore these new ideas and ideals, and for young readers, that skill is one of the greatest gifts we can give. Our sixth graders are with their teachers in Washington, D.C., experiencing democracy in action as they spend three days exploring our nation's capital. Among the experiences the boys will have during their stay are visits to the Smithsonian and the Capitol, a monuments tour, and a special session at the Supreme Court with one of Justice Kennedy's law clerks. 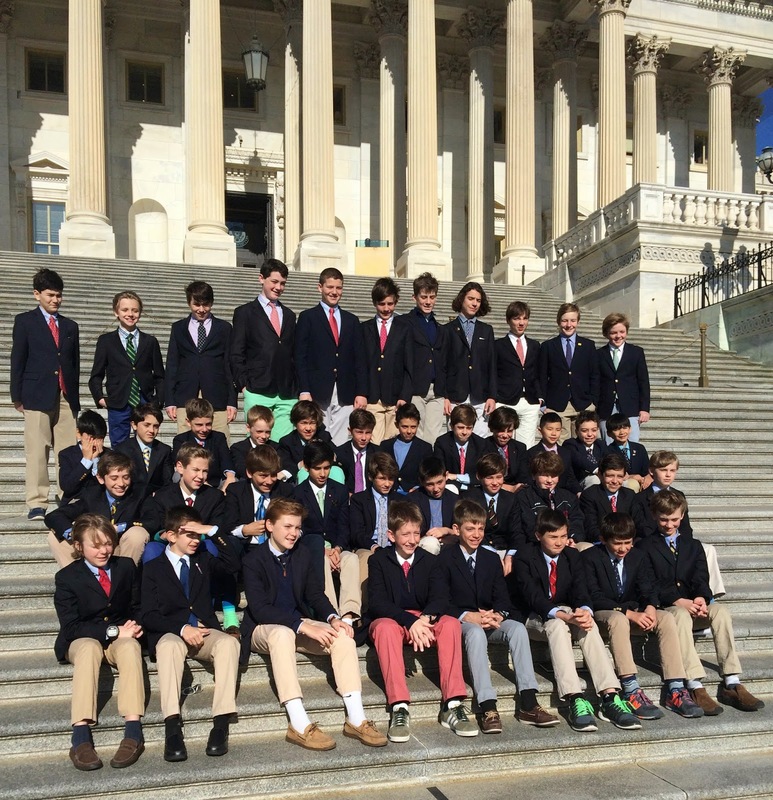 This is the fourth year of the annual DC tour; it is the culminating experience of the boys' two-year sequence in American history. What better way for our boys to explore this year's school-wide theme "Ideas and Ideals" than to immerse themselves in the ideas and ideals of their republic in its capital. We are placing an emphasis on the thinking process, on "making thinking visible" throughout our curriculum at Saint David's. A poignant example of this was evident in a fifth grade science lab this morning where the boys were found exploring ecosystems. 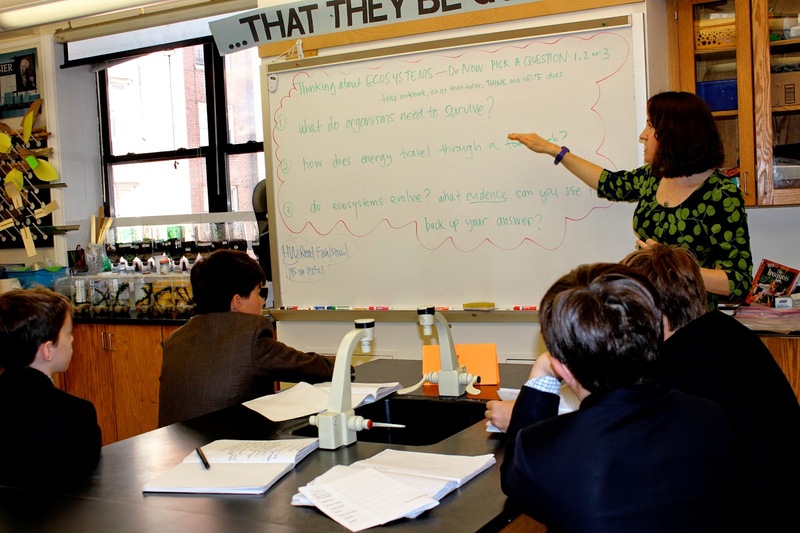 Today's lab opened with the boys' teacher leading them in a discussion that addressed questions about ecosystems. They were encouraged to verbalize their thinking and to record their ideas. 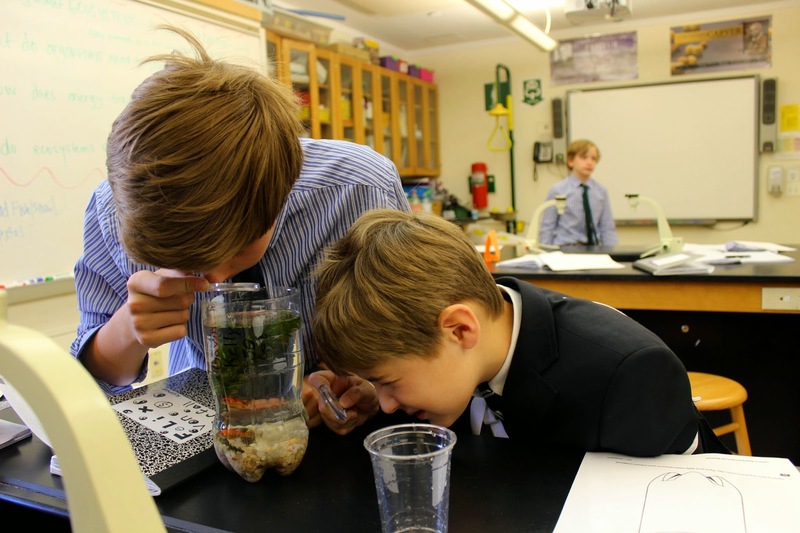 The lab itself involved introducing animals (snails and goldfish) to the aquariums that the boys had already built. 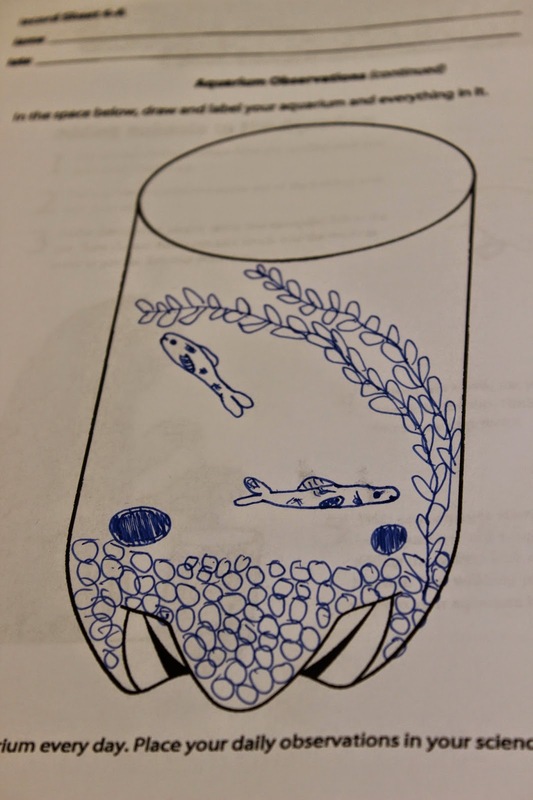 After the boys carefully transferred the animals into their aquariums, they observed and recorded (drew) what they saw, noting the movement patterns of the animals. Asking boys to document their thinking while being actively engaged in a project in this way helps to spark ideas, unmask connections and deepen understanding of the scientific concepts being studied. 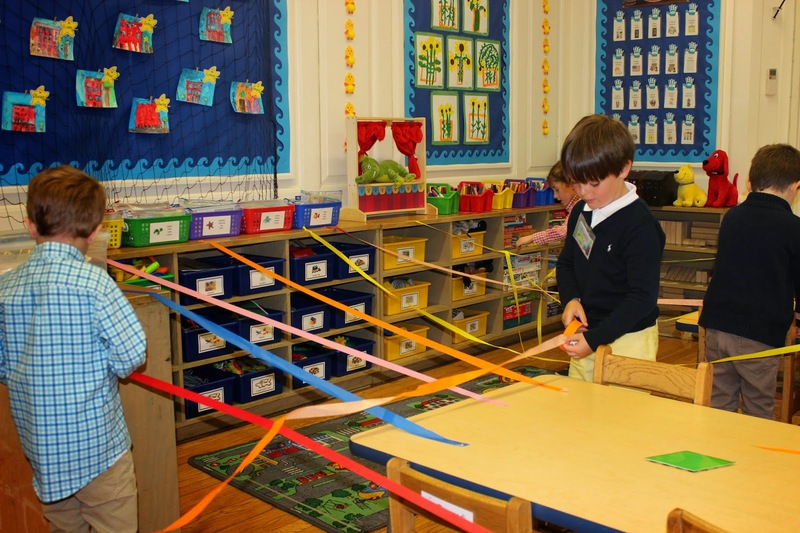 A visitor to a Kindergarten class this morning would have observed boys in motion--gleefully covering their classroom in multi-colored strips of tape-- red, blue, pink, orange, yellow tape everywhere--on the walls, strung across desks, even on the doorknob. All of this action was part of an innovative session with an educator from the Guggenheim, our neighboring museum, which the boys will be visiting soon. The educator talked to the boys about installation art, art that is experiential beyond 2- or 3-D. The class discussed how lines can convey emotion (e.g. straight lines may represent tranquility, while up-and-down lines anger or agitation) and related this to the works of Van Gogh. Then the boys got up and got creative, turning their class into a colorful work of installation art that they could move within, outside of and around. This is a wonderful way for our young boys to understand installation art by engaging in the process of creating it. Nightingale girls visited with our first grade boys today for a morning of fun and socializing. Last week, the boys spent time at the girls' school and today they were even more excited to host their new friends and show them their classrooms. 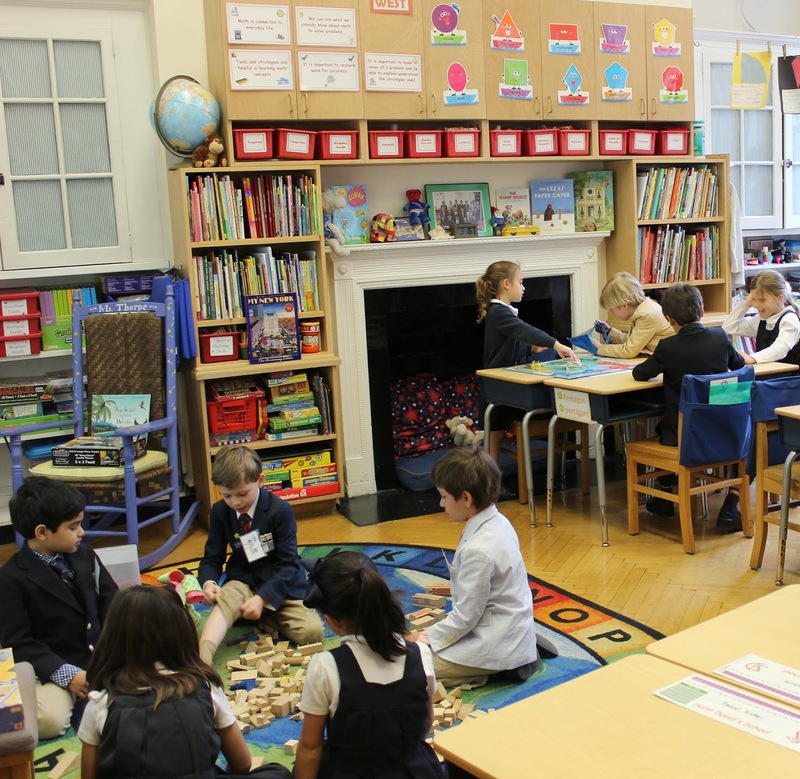 Saint David's provides a number of opportunities throughout the year for our boys to connect and bond with our neighboring schools. 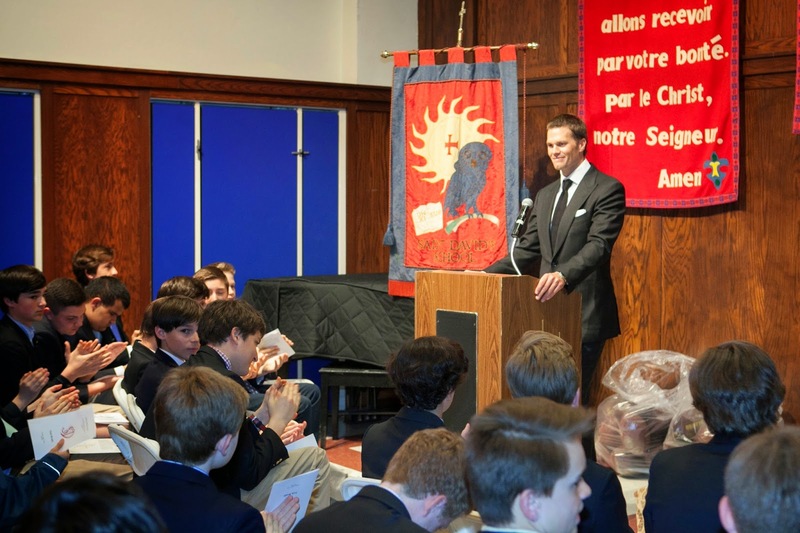 These include the eighth grade art lectures and the orchestra coffee concerts with NBS girls; third grade concerts with Spence students, and a piano recital at Steinway Hall with Marymount girls. 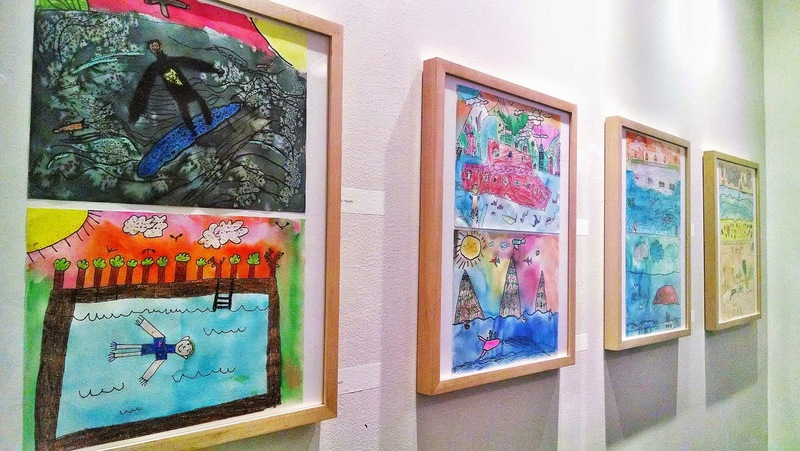 Sunday was the opening reception of our second graders' art exhibit at the Child Mind Institute in New York City. "What We Love to Do In, On, and Around Water" featured waterscapes in crayon and watercolor resist done by the boys. Art teachers Melanie Fidler and Maria Valdes asked each boy to recall happy memories around the theme of water and to create a picture depicting that memory. Their works are colorful and wonderfully detailed. In creating them, the boys were inspired by their study of Hokusai, Homer, Monet and Seurat, the use of color to create mood, and a variety of art concepts including landscape and horizontal line. Boys first sketched their works, refining them before creating the final picture. 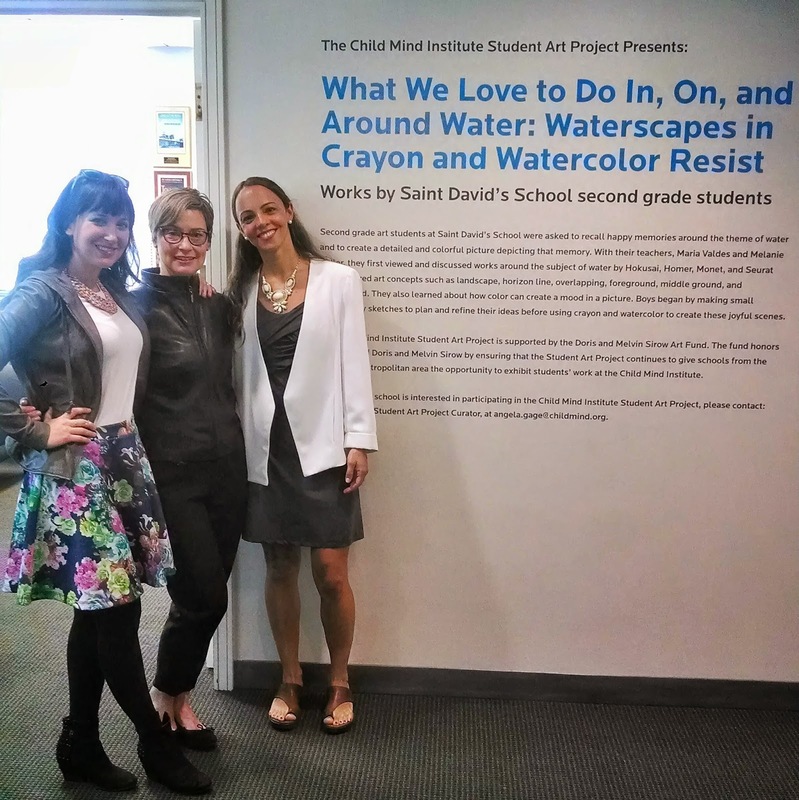 The Child Mind Institute sponsors showings of student work on a rotating basis and Saint David's was invited to participate. Art Chair Jenna Boccella coordinated with the Institute to install this show of our second graders' work. About fifteen boys and their families attended the opening event. The show will be open to the public through the end of May at the Institute, located at 445 Park Avenue. Stop by. in honor of David D. Hume (at left), Saint David’s Headmaster from 1953 through 1990, who passed away in February at the age of 87. A gentle breeze swept East 89th Street as the memorial began, and I imagined a gentle breeze skipping across the surface of the Connecticut River, where he so often loved to sail. The mass was celebrated by Msgr. 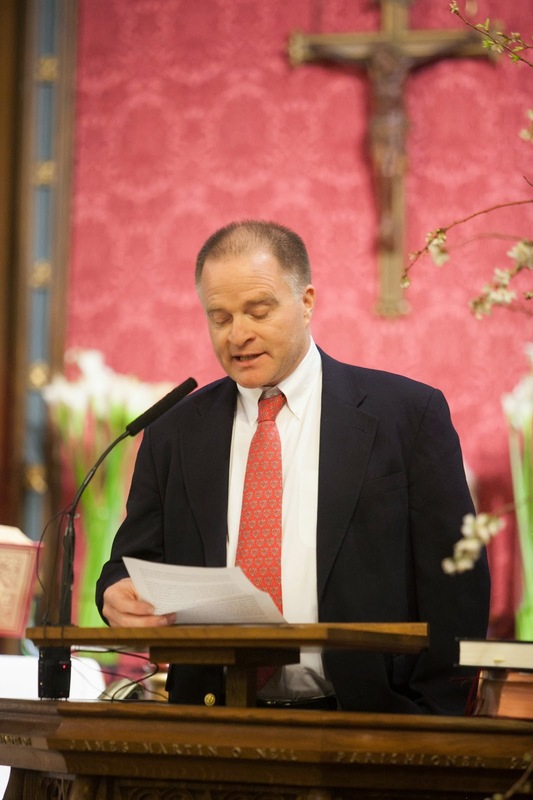 Thomas Leonard, Saint David’s School Chaplain during and after David's tenure, and featured readings by Hume’s longtime assistant Stephanie Berardesca and his daughters Charity and Amity. 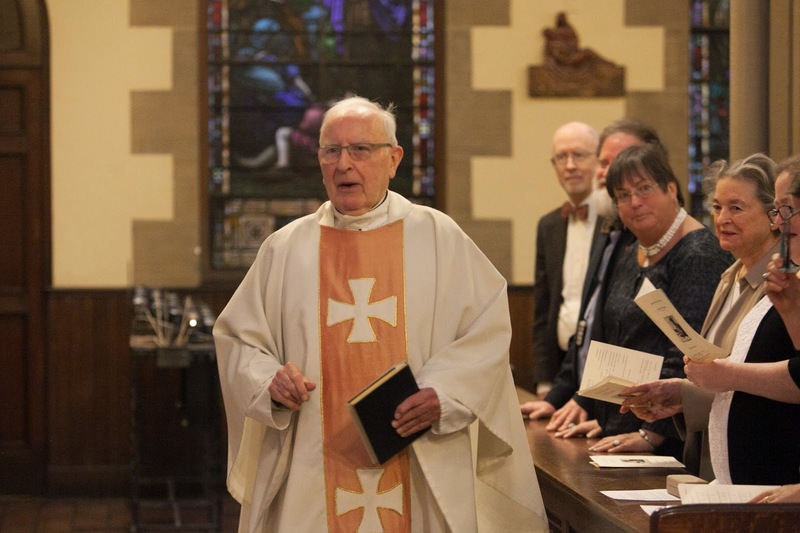 Offertory gifts were brought to the altar by his grandson Aaron and Saint David's teacher Joe Kilkeary; and former teacher Bob McGrath served as cantor. David passed away this February 18th, on Ash Wednesday. In his homily Msgr. 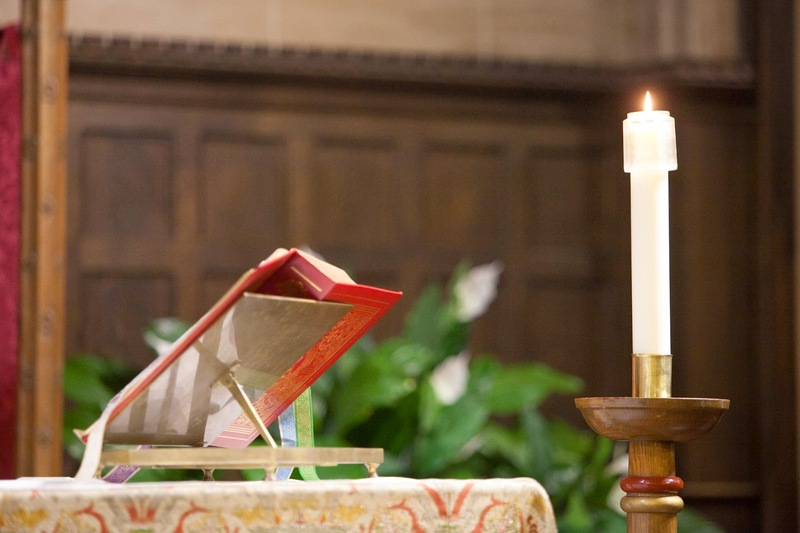 Leonard noted how apt this date was, for David had no need to participate in the annual process of reconciliation and preparation before the redemption and rebirth of Easter: "His preparation was complete." Beautiful, warm and witty eulogies were delivered by master teacher Bob McLaughlin, John Patrick Fennell '57, and Noah Hume '75. Bob spoke of how the school in so many ways "still reflects David's imprint"; John, of David's erudition, which always was mixed with whimsical playfulness. One of his sons, Noah, remembered most acutely "the softness and steadiness of my Papa's hands" which had taught him so much, from drawing to sailing. All three remarked on David's role as a gentle mentor. After the memorial, we all gathered with Hume family members in the library that bears his name, for conversation and to continue to recollect a great man. David Hume certainly embodied our school's theme this year, "ideas and ideals." He never wanted for ideas, and was always guided by high ideals, for himself and for his students. 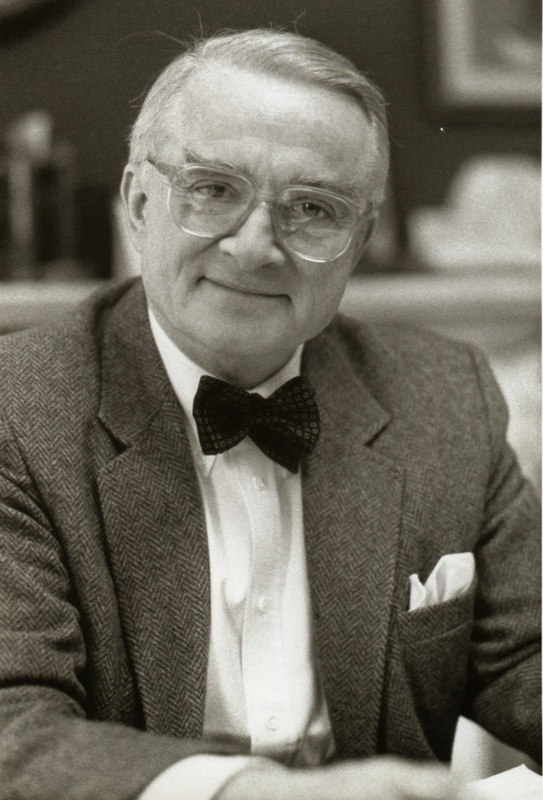 He leaves behind a great legacy, including the phrase he penned as Headmaster in 1974, one that reflects the aspiration of the school's founders, and encapsulates the ultimate goal that all of us in the Saint David's community have for our boys: "...that they be good men." Cheered on by pre-primary boys, our seventh and eighth graders kicked-off this year's Dollars for Scholars fundraising project for our school in Ethiopia with the first of three Central Park walk-a-thons today. 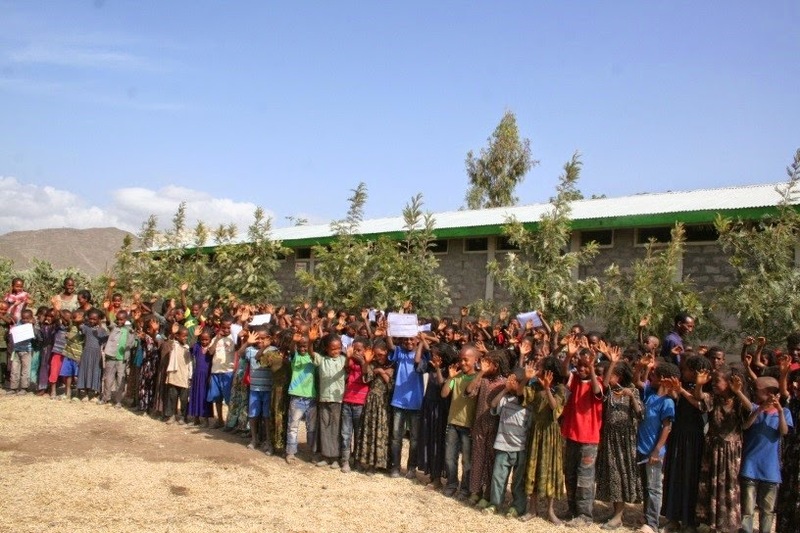 In the next few days, boys in Grades 4 through 6 will also participate in walk-a-thons in support of the Saint David's Kalina School, which opened last year in Tigray. The money the boys raise this year will go toward a second building where young mothers in the area will be educated about modern child-rearing practices and post-natal care for their children. 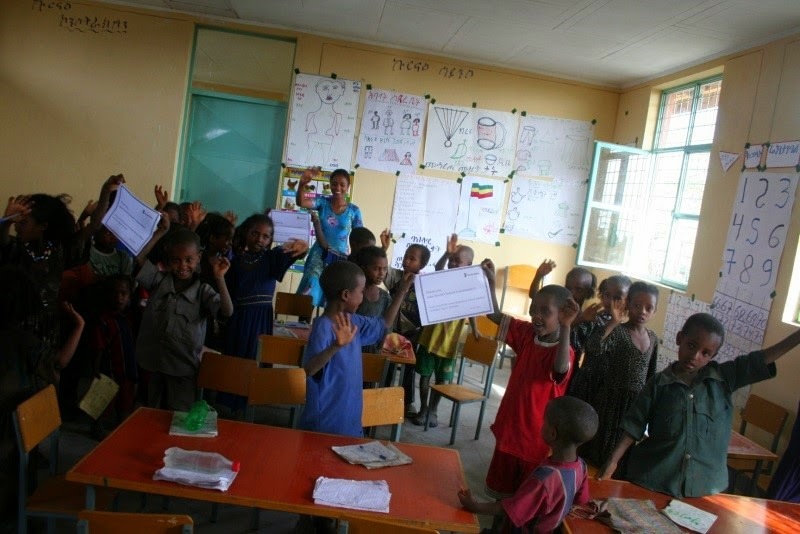 The Dollars for Ethiopia Scholars project began in 2011 during Saint David's 60th anniversary celebration as a way to give back by providing education facilities for children in need of a school. It is one of several community action initiatives that our boys engage in throughout the year. 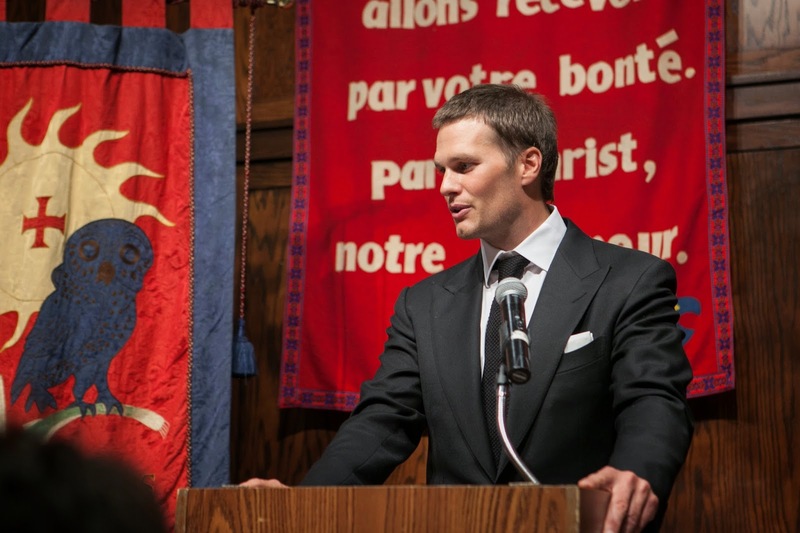 Contributing to the greater good is a way that spirituality can be seen most concretely at Saint David's. 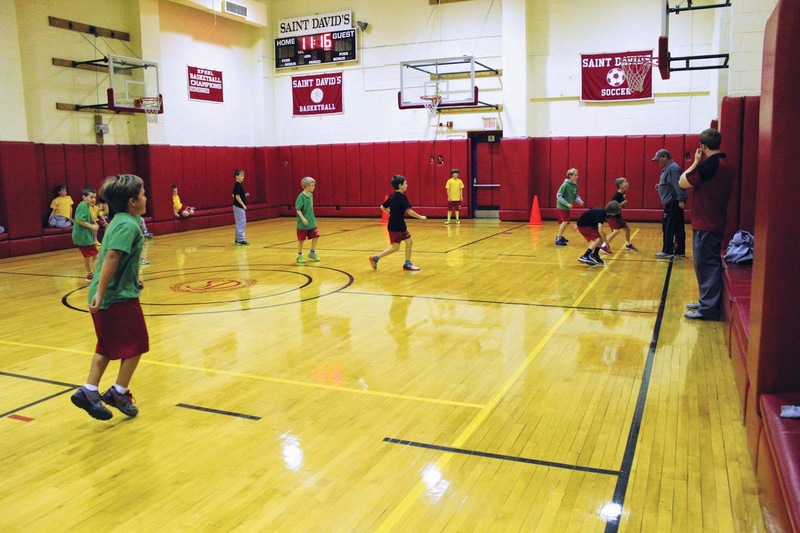 The following article by Lower School Assistant Athletic Director Robert O'Carroll and Head Coach Alan Fishman, appears in the Winter 2015 issue of Saint David's Magazine. It is the first day of school, and an anxious Pre-K boy enters Saint David’s and wonders, “What are we going to do first?” The reassuring hands of Mrs. O’Neill and Mrs. Hazenberg lead the boy out to the yard, where he can run around, shoot a basket, or play catch. This physical activity is the start of a Saint David’s boy’s introduction to the importance of play. 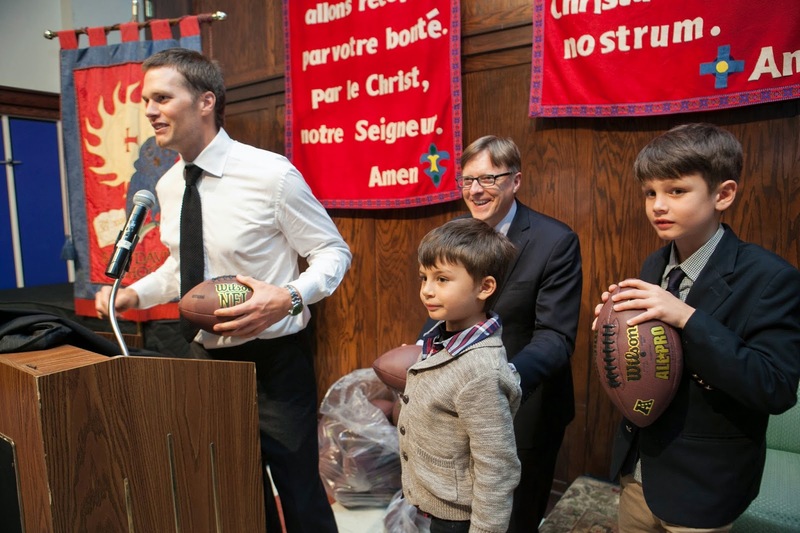 He will spend his Lower School years learning how to play many games while in Kindergarten, experience the wonders of the Great Lawn as well as the off Campus Gym in Grade One, participate in the time honored tradition of The Turkey Run in Grade Two, become a member of a team (and finally get to keep score!) in Grade Three and finish his “Intramural career” in Grade Four. 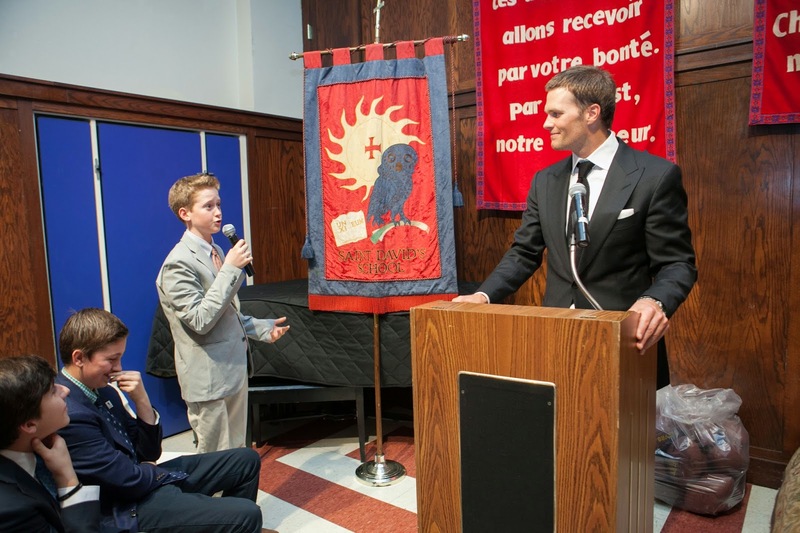 During this time, he will be exposed to all the core sports that Saint David’s offers: soccer and cross-country in the fall, basketball and fitness training in the winter, and baseball and lacrosse in the spring. The Athletic Department’s “IDEA” is to expose the boys to all the different sports at a young age with the hope of creating the “IDEAL” student athlete: One who can excel at one or more sports and displays the respect and good sportsmanship that the coaches try to instill in all. 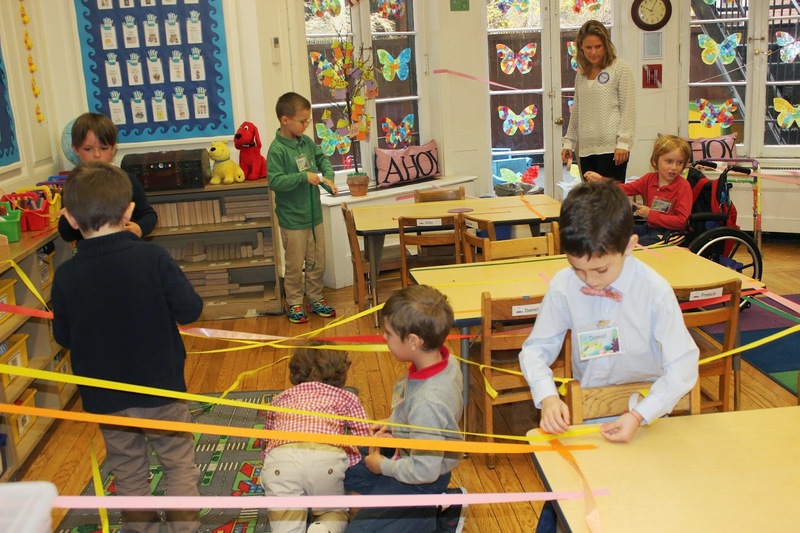 Boys in a Lower School math class today were up and out of their seats flying paper airplanes to learn about symmetry as part of their geometry unit. After building the paper airplanes, the boys tested their creations to explore the role symmetry plays in both construction and flight pattern. The boys needed to consider the various angles (right, acute, obtuse) they would use when folding the planes. This is another example of active, hands-on, tangible learning experiences that we integrate throughout our math curriculum in order to spark the boys' creative and analytical thinking, deepen their understanding, and engage them fully in an area of study. 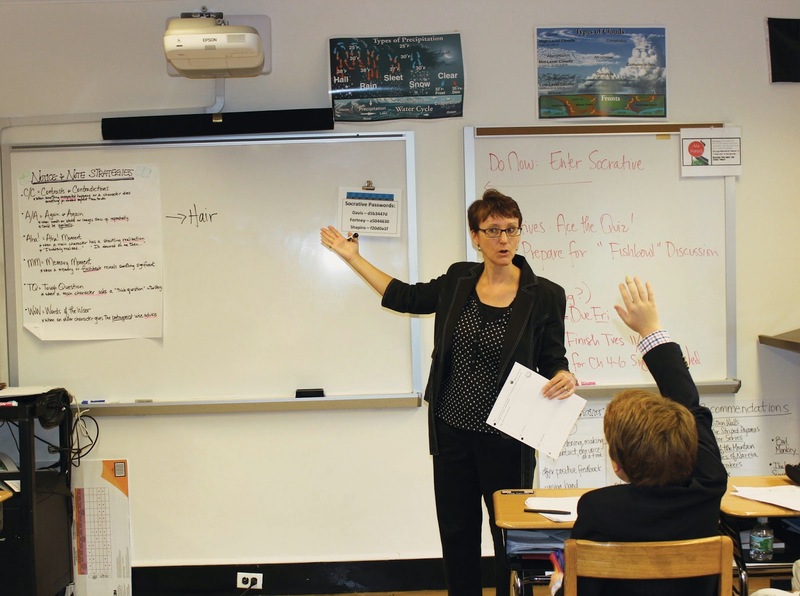 All this combined with the more traditional study of theory through teacher directed instruction provides the ideal balance for optimum learning. It's the Saint David's way!